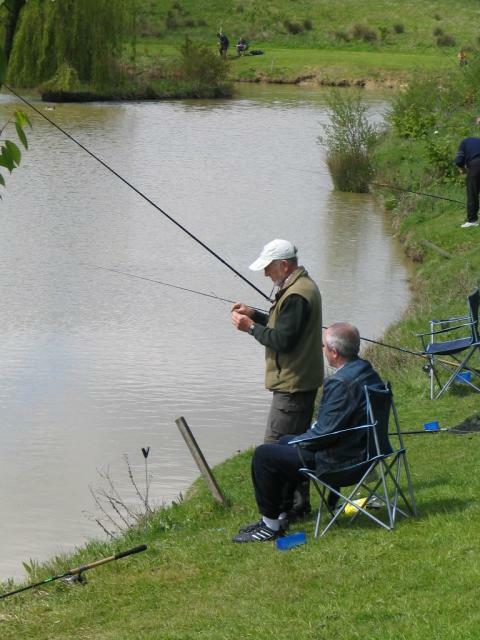 What does angling participation mean to someone with a physical or mental health impairment? In the past month I’ve visited two angling projects that can help us understand how angling is valued by both those individuals who experience some of kind mental and/or physical health condition, and the organisations/people who support the day-to-day needs of these individuals. One of the projects consists of a regional partnership in West Sussex between local offices of Mind (a mental health charity), the NHS, and the Environment Agency (EA). 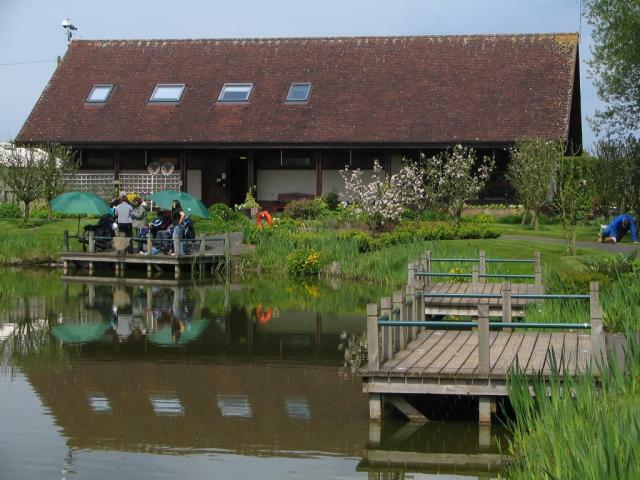 Essentially, the partnership offers clients of Mind and the NHS the opportunity to go coarse fishing for a day. About twice a month – excluding winter months – several EA employees facilitate a day of fishing for a small group of people (between 5-10 individuals) who have medically-diagnosed mental health impairments, such as depression, bipolar disorder and schizophrenia. Most are part of Mind's 'Get Active' programme, which includes other recreational activities like walking, badminton, table tennis and gym sessions. All angling equipment is supplied by the EA – rods, reels, bait, nets, etc – and, most importantly, the EA employees make themselves available to coach, supervise and encourage individuals while they fish. Fishing at a Mind 'Get Active' Event in West SussexAfter observing activities for several hours, I began to wonder how those in attendance valued this opportunity to go fishing. Speaking to some of the participants about their motivations and personal benefits, it was apparent that - for the most part – their views connected with those commonly cited by other anglers. For example, Garry* confessed that his day was all about the size of the fish he caught (“the bigger the better”), Blake* said he liked being outside, relaxing and watching wildlife, and Jim* told me he wanted “to be outside and maybe make new friends”. On the other hand, there were several comments that suggested angling might provide certain benefits to people with a mental health condition. Stephen*, for example, told me how the “peaceful, relaxing” experience of going fishing actually “takes your mind off [the passing of] time”. Being stuck at home, he said, sometimes filled him with anxiety about what he was going to do each day. A fishing trip took Stephen away from his home and placed him in a new social and environmental context, where he could escape from a knock on the door or a ringing telephone. The other project I have recently visited is the Albrighton Trust Moat and Gardens, near Wolverhampton (www.albrightontrust.org.uk/about). Formerly the ground of a 13th Century manor house, the Moat and Gardens complex now features a fish-stocked moat, a themed garden and resource centre. The site is designed specifically “to provide inclusive social, learning and recreational opportunities for people with disabilities”. All paths and fishing platforms are wheelchair-accessible. Hard work, careful planning and ongoing maintenance have transformed the moat and gardens into a visually beautiful setting. Horticulture and landscaping appear to have been given as much priority as the opportunity to go fishing. During my visit, I observed small several groups of disabled young people angling (quite successfully) from the specially designed platforms. In my opinion, it appeared as if the carers of these young people were enjoying the experience of trying to catch a fish as much as the young people were! I am looking forward to interviewing carers to see if this is in fact the case! Even though we are working with these two projects, we appreciate that our research needs to collect more data to obtain a greater appreciation of how angling brings benefits to individuals and organisations in this area. There a number of other projects and organisations in England and Scotland doing similar work for people with special needs. The Rossendale Trust in Cheshire (http://www.rossendaletrust.org/oakwood.htm) and PISCES in Leeds are two such examples. If your organisation or project is using angling to provide benefits for people with special needs, and you’d like to share what you are doing with others, please do so using our online form at www.anglingresearch.org.uk/participation_organisations. You can find out more about PISCES in Leeds, and the Rossendale Trust, by reading their published comments on our website at: www.anglingresearch.org.uk/your_views_key_areas. * All names appearing in this article are pseudonyms. You can access all the outputs from the research, including the Final Reportand more, on our dedicated Research Resources website. Last Orders to Contribute to Angling Research!